NAAP provides a centralized repository allowing all authorized personell to access the documents used throughtout the company. This will eliminate various versions of the same document circling around. 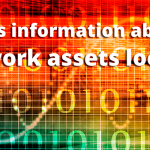 It will bring together all of an asset’s information, reasily accesible from anywhere. NAAP Core will maintain documents with their assets so that you can have the information you need when you need it. Scanned legal documents and inspection drawings. Photos, drawings, and Structural reports of sites. Warranty information and Repair History. Go “green” by eliminating unnecessary printing. Technical Manuals, Pictures, and related documents accesible from the field. Commercial information at your fingertips.